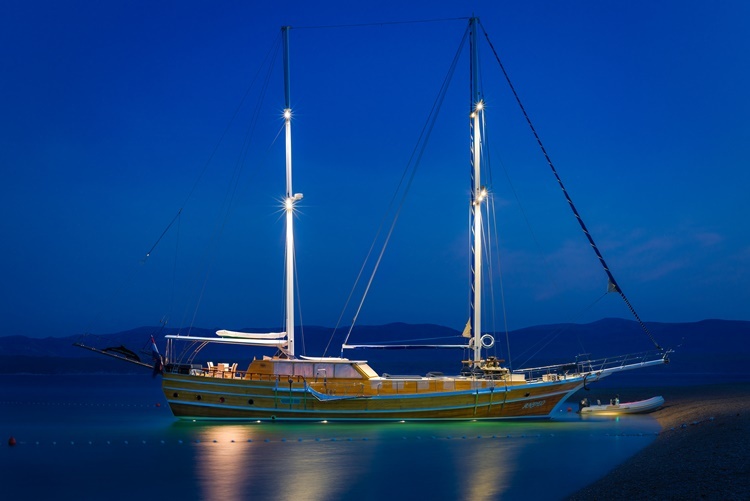 …a gulet for rent in Croatia. 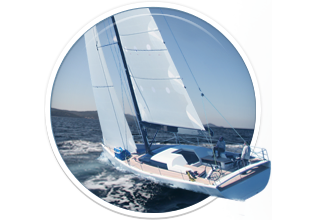 The boat is available in marina: Split, Trogir, Sibenik, Dubrovnik. Gulet Andjeo was launched in 2000 and continuously refitted every winter since 2004. 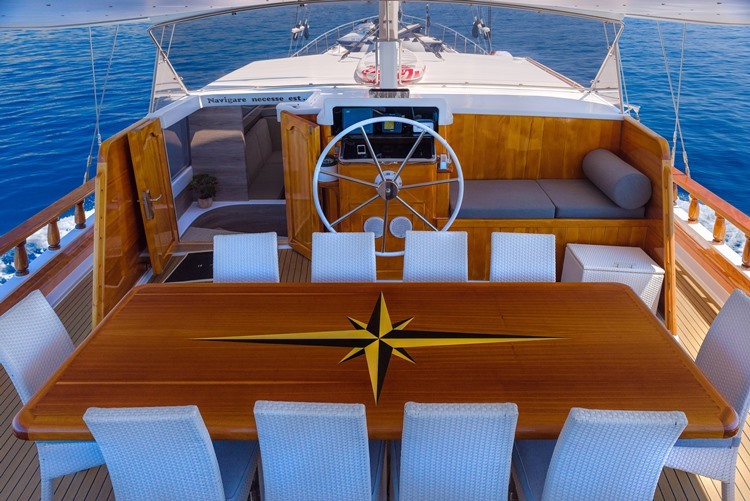 This boutique gulet is known as a Croatian charter yacht which incessantly raises a bar in Croatian charter market. 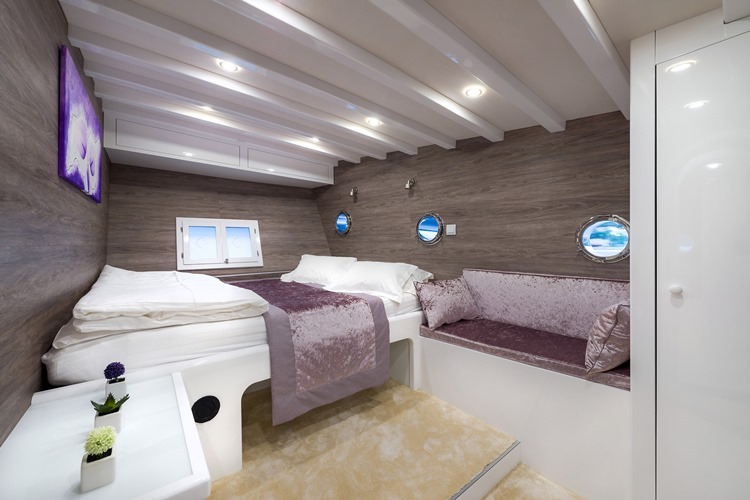 That said, it does not surprise that gulet Andjeo is going through the refit at this moment (November 2013) which will affect interior layout of the guests cabins: once finished it will have 2 comfortable double bed cabins in the aft, and forward of the salon will be 3 guest cabins. 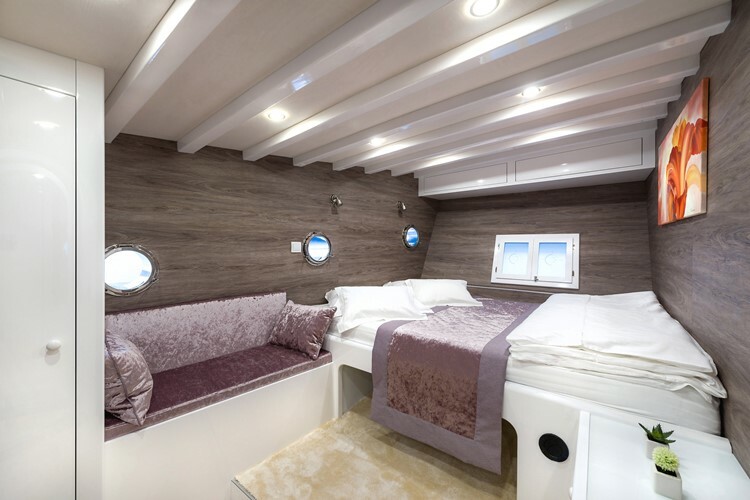 The most upfront guest cabin will be spacious, probably convertible twin-to- double- bed cabin. In this way, crew cabins will be completely separated from the guests area, with separate entrance. 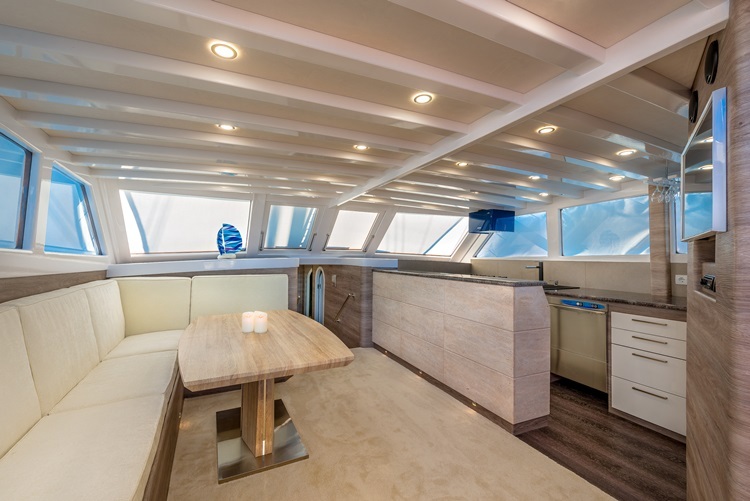 Gulet Andjeo has TV in salon and on the aft area (which is hidden in recently added hard top) DVD player and a wireless internet connection. 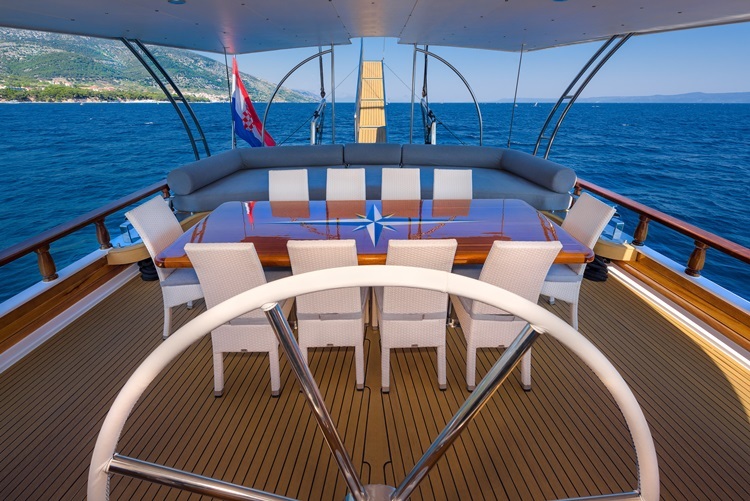 In central area of the yacht – salon- there is an open galley; a play-field of your chef Vedran. Gulet Andjeo is the perfect yacht for a family or a group of couples, accommodating a party of up to ten guests in five large cabins. 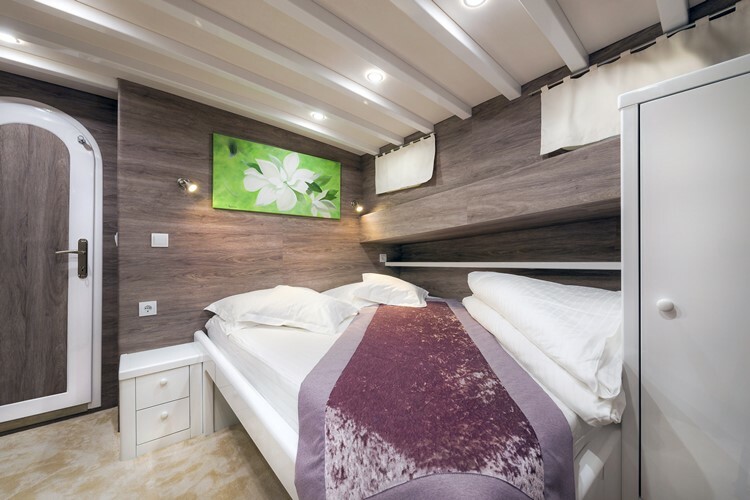 Each cabin is tastefully decorated, sleeping quality has been provided through high quality fabrics of the linens, cushions, anti anti allergy mattress filled with memory foam and individually controllable air-conditioning. 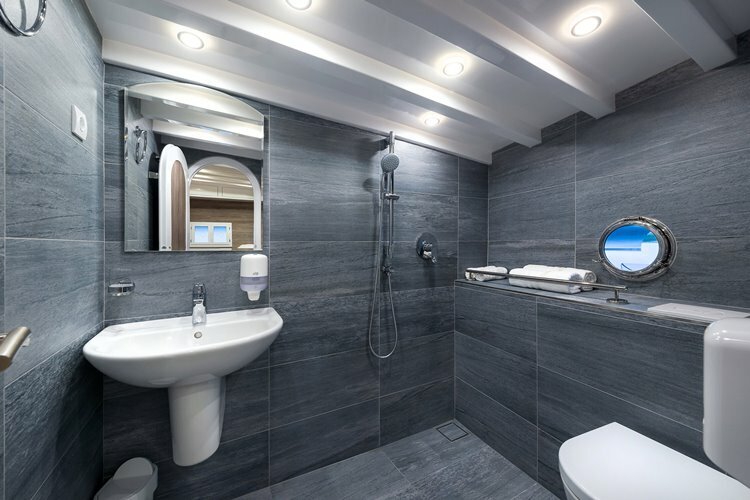 Again, each cabin has a private en suite bathroom. 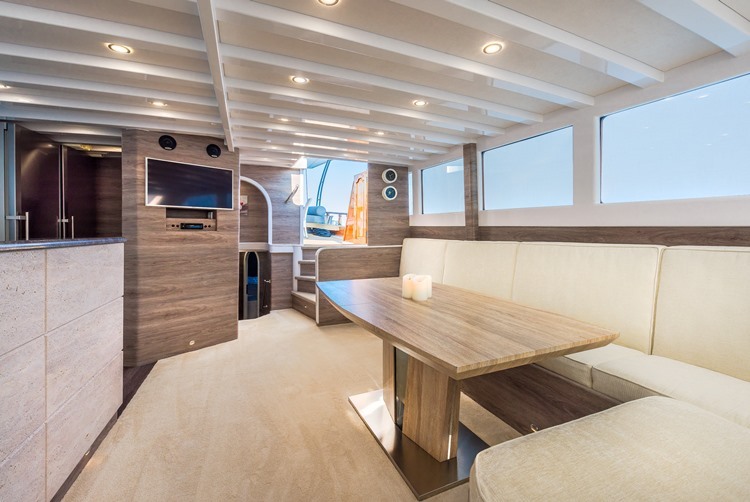 Foward of the saloon are two double cabins, one of which is fitted with a separate entertainment system. 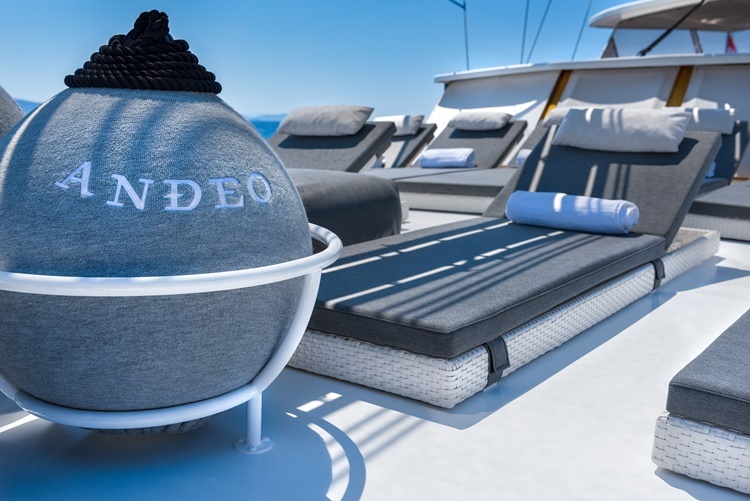 On deck, Gulet Andjeo provides ample space for alfresco seating and dining venues; the aft deck offers comfortable dining table and lounge area – a mattresses to relax and enjoy the scenery while the yacht is underway. 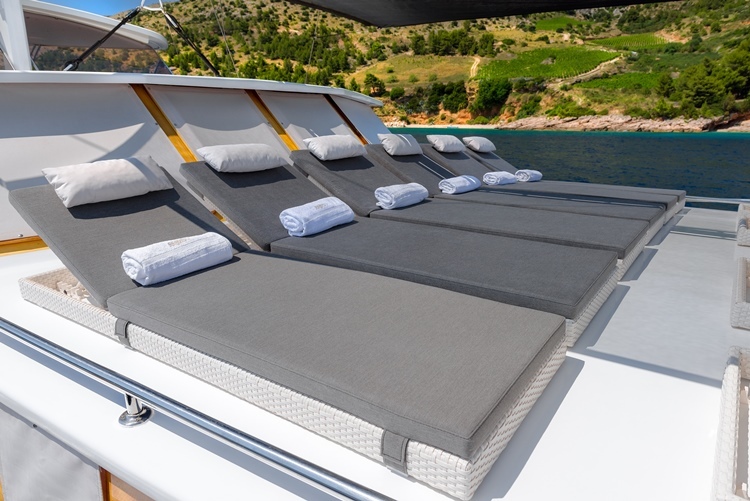 On the front deck there is another sunbathing area covered with mattress, which can be protected from too strogn influence of the Mediterranean sun by awning. 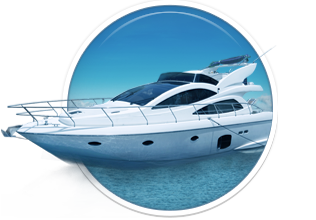 The yacht is fully-equipped with a good selection of water toys including water ski, knee board, wake board, kayak, wind surfboard and a waverunner. She has very stable leathers, designed for all ages, which ensures easy sea access for swimming and water-based activities. 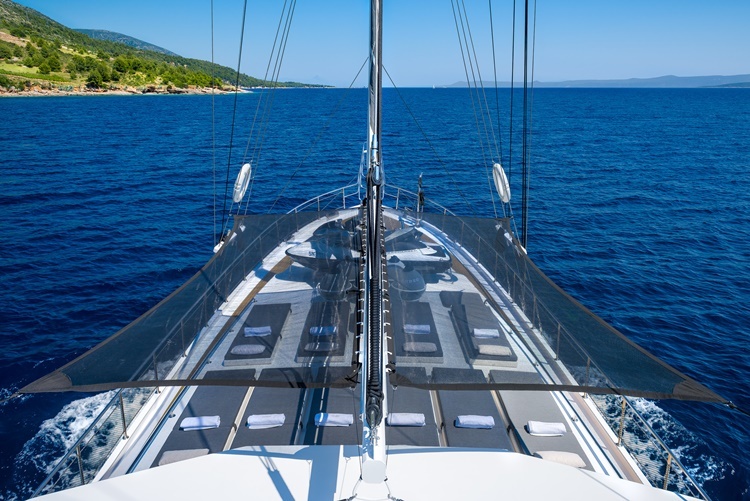 Gulet Andjeo (English: Angel) has not happened just to be a well selected gulet placed on Croatian charter market – it is a product of complete devotion and passion of their owners – Gluncic Family. 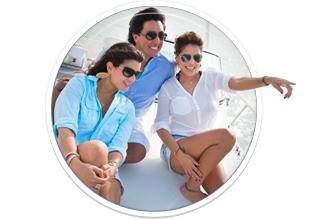 1) Beverages on yacht bar only – by bar price list, in this option clients are not allowed to bring their own beverages on board. 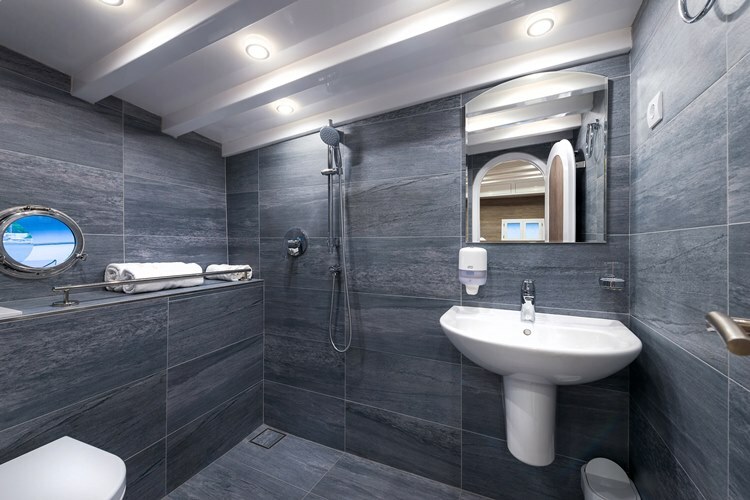 Shipboard accommodation, permits, insurance,crew, all equipment on board, all boat expences ‐ fuel, port and marina fees, generator, guest taxes, yacht cleaning, linens and towels, crew; tender with outboard engine ‐ unlimited use for water sports, internet connection ‐ Wi ‐ Fi, VAT. * To drive a WaveRunner in Croatia one needs to have a boat driving permit with him/her when on the WaveRunner. It is forbidden to allow a person to drive a WaveRunner if one doesn’t have a licence with him/her. If the person doesn’t have this, it is possible to obtain one while in Croatia. Contact us for more details on Croatian licence for WaveRunner, but we strongly suggest to obtain one in your country. Here you can find basic information about Gulet Andjeo. Other specifications, can vary from boat to boat, therefore we recommend to search for particular Gulet Andjeo from our database, in the destinations of your preference.